Calling agents with excellent command over Spanish? Take advantage of an important marketing channel. Provide a delightful experience to your customers in Spain! Specialist customer service and telecalling agents to make your marketing campaign yield good results. Whether you are setting up a new business in Spain or expanding your existing business, using a dependable team of telecallers will ensure successful outcomes. We can also handle your Direct Response inbound calls in Spanish. Serving all major cities including Madrid, Barcelona, Valencia, Seville, and others. We are top rated 24/7 Spanish Inbound customer support service provider in Spain. 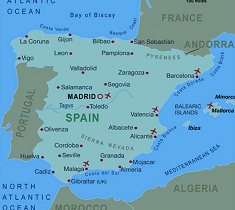 We provide inbound call center service in Spain. We have well experienced Spanish call center agent. Experienced agents join your marketing team as inbound tele callers. The operations can be scaled up or down quite quickly without any major capital expenditure. Accountability and proficiency is guaranteed by Grupo Noa International, a company with more than 15 years of experience in this industry. Are you looking for Spanish inbound customer support service for your business ? Contact us today to Get A Quote.